20 Foot Heavy Duty 8-Function Linkable LED Rope Only $19.99! Ships FREE! You are here: Home / Great Deals / Christmas Deals / 20 Foot Heavy Duty 8-Function Linkable LED Rope Only $19.99! Ships FREE! Use these both inside and out! Order the 20 Foot Heavy Duty 8-Function Linkable LED Rope Only $19.99! Ships FREE! Quantity discounts available! 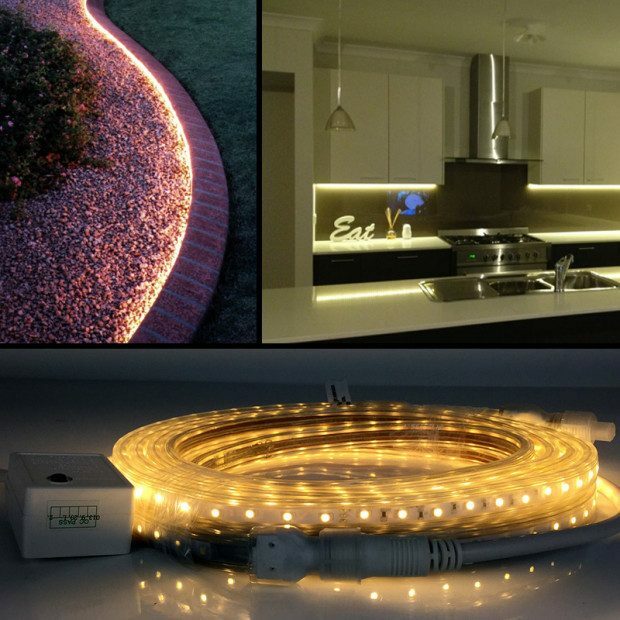 Quickly and effectively add attractive light to any part of your home, indoors or out, with these high quality LED Tape Light Strips! Whether you’re needing an accent light to give your home just the right feel or if you need to shed light on a dim area of your home, these bright 20 foot strips are exactly what you’ve been looking for!